They just wanted to honor a dying grandmother's deathbed wish to see her grandbabies one time before she leaves this earth. Now, thanks to the intervention of a Texas Ranger and CPS, that may never happen. Ahmed and Olubunmi Giwa were arrested last weekend and all of their children seized by Child Protective Services when they tried to fly out on an emergency trip to see Mr. Giwa's mother. Ahmed's mother is reportedly doing very poorly. The family was simply planning to visit her in Nigeria for a couple of days. They had return tickets for everyone, and their car was parked in the parking deck at the airport the whole time. Ali Giwa was medically kidnapped on April 14, 2015, by Harris County CPS - a county the family doesn't even live in - on allegations of "failure to thrive." It is still unclear how Harris County has jurisdiction in this case. Though Ali has some developmental delays, CPS never mentioned to the judge that he is in the 75th percentile with his height and weight. He was returned home on July 29, but the bizarre case remained open. Now, CPS has taken the 2 year old's twin sister and his 3 year old sister as well and placed them into foster care, accusing his parents of "interfering with child custody" and attempted international kidnapping, of their own children. VOICE, we are with you. But, I don't have a way to contact you. Please make an MK account and join our KY group so we can talk more. Please, we need people like you who will stand up to this evil monster! PLEASE WE NEED PEOPLE I FOUND SOMTHINGS THAT WILL DISTURBE THIS NATION BUT I NEED EVERY BIKER NEAR AND FARE TO PUT A sos,,,,, EVERY MILLIATIA>>>>SOS...EVRYY BROTHER HOOD WE RIDE WALK STAND BUT IM GANNA TELL YOU WHAT WERE GANNA DO.....OH GODTHANKYOU. For your security, we do not approve personal emails or phone numbers to be published on our page. Registered Community users should contact each other via our secure Chat. Our Secure Chat is a great way for other registered users to share resources and get to know each other. Registered users can also create and administrate their own Private Groups. From the Home page, click on a Community (Ex: Medical Kidnap Community or Vaccine Impact Community), and the click on the "Groups" tab. Am going out to protest with fellow Americans at the Juvenile court in Harris county today, for CPS and the family court to be stopped from destroying our future, our children. My children were taken for no reason. Split into different foster homes and continuously medically neglected by CPS. If you think that you are immune, you only kid yourself. You need to rise up and fight this before you get the knock on the door !! My mother is available and CPS is not obeying the law by not considering her for placement. We have been denied visitation. We have not seen them since they took them. Arise all mothers of this nation, fight this before it happens to you. Remember these words, if you ignore now and become the next victim. Americas future is at stake !! The Giwas are an incredible, loving, intelligent, caring and courageous family. Harris County Child Protective Services has made a terrible, tragic and devastating mistake. May God have mercy on their souls. It's not too late to do the right thing. Send these babies home, NOW. Please pray for protection over the children, for strength and compassion for the parents and for the health of the dying grandmother. Show the family support by signing their petition: https://www.change.org/p/barack-obama-texas-state-house-texas-state-senate-stop-cps-the-destruction-of-innocent-families-and-children?recruiter=3098445&utm_source=share_petition&utm_medium=facebook&utm_campaign=autopublish&utm_term=des-lg-share_update-reason_msg&fb_ref=Default . Sandy said: > Admin said: > > They just wanted to honor a dying grandmother's deathbed wish to see her grandbabies one time before she leaves this earth. Now, thanks to the intervention of a Texas Ranger and CPS, that may never happen. Ahmed and Olubunmi Giwa were arrested last weekend and all of their children seized by Child Protective Services when they tried to fly out on an emergency trip to see Mr. Giwa's mother. > > > > Ahmed's mother is reportedly doing very poorly. The family was simply planning to visit her in Nigeria for a couple of days. They had return tickets for everyone, and their car was parked in the parking deck at the airport the whole time. > > > > Ali Giwa was medically kidnapped on April 14, 2015, by Harris County CPS - a county the family doesn't even live in - on allegations of "failure to thrive." It is still unclear how Harris County has jurisdiction in this case. Though Ali has some developmental delays, CPS never mentioned to the judge that he is in the 75th percentile with his height and weight. He was returned home on July 29, but the bizarre case remained open. > > > > Now, CPS has taken the 2 year old's twin sister and his 3 year old sister as well and placed them into foster care, accusing his parents of "interfering with child custody" and attempted international kidnapping, of their own children. > > To their attorney: isn't there a way to put a petition on FB for people to sign to take to the judge on next court date? I know it's short notice but you would be surprised how many signatures you could get! At the following court hearing the judge asked CPS why they took the kids and said there was no emergency need to do so. Yet once again he gave custody to CPS of all the kids and insisted the parents complete the Psych eval with the CPS approved psychologist who would not show them results till the hearing.Their attorneys objections were all overruled and the judge wouldn't admit proof of their return ticket into evidence. He didnt give the kids to family either. This shows this can happen to anybody. This is just horrible and insane. What has happened to common sense, integrity, and justice? 3 things many CPS workers and their cronies in the system have either lost or never had. Admin said: > They just wanted to honor a dying grandmother's deathbed wish to see her grandbabies one time before she leaves this earth. Now, thanks to the intervention of a Texas Ranger and CPS, that may never happen. Ahmed and Olubunmi Giwa were arrested last weekend and all of their children seized by Child Protective Services when they tried to fly out on an emergency trip to see Mr. Giwa's mother. > > Ahmed's mother is reportedly doing very poorly. The family was simply planning to visit her in Nigeria for a couple of days. They had return tickets for everyone, and their car was parked in the parking deck at the airport the whole time. > > Ali Giwa was medically kidnapped on April 14, 2015, by Harris County CPS - a county the family doesn't even live in - on allegations of "failure to thrive." It is still unclear how Harris County has jurisdiction in this case. Though Ali has some developmental delays, CPS never mentioned to the judge that he is in the 75th percentile with his height and weight. He was returned home on July 29, but the bizarre case remained open. > > Now, CPS has taken the 2 year old's twin sister and his 3 year old sister as well and placed them into foster care, accusing his parents of "interfering with child custody" and attempted international kidnapping, of their own children. Defund CPS. Admin said: > They just wanted to honor a dying grandmother's deathbed wish to see her grandbabies one time before she leaves this earth. Now, thanks to the intervention of a Texas Ranger and CPS, that may never happen. Ahmed and Olubunmi Giwa were arrested last weekend and all of their children seized by Child Protective Services when they tried to fly out on an emergency trip to see Mr. Giwa's mother. > > Ahmed's mother is reportedly doing very poorly. The family was simply planning to visit her in Nigeria for a couple of days. They had return tickets for everyone, and their car was parked in the parking deck at the airport the whole time. 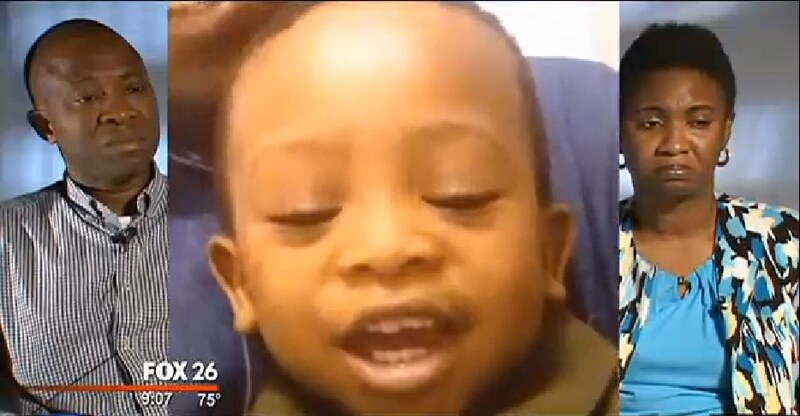 > > Ali Giwa was medically kidnapped on April 14, 2015, by Harris County CPS - a county the family doesn't even live in - on allegations of "failure to thrive." It is still unclear how Harris County has jurisdiction in this case. Though Ali has some developmental delays, CPS never mentioned to the judge that he is in the 75th percentile with his height and weight. He was returned home on July 29, but the bizarre case remained open. > > Now, CPS has taken the 2 year old's twin sister and his 3 year old sister as well and placed them into foster care, accusing his parents of "interfering with child custody" and attempted international kidnapping, of their own children. To their attorney: isn't there a way to put a petition on FB for people to sign to take to the judge on next court date? I know it's short notice but you would be surprised how many signatures you could get! CPS employees should be locked up in a zoo. De fund CPS. CPS employees should be locked up in a zoo. I feel with all my heart that CPS has many employees making money on these kidnappings. This is SO WRONG!!! How evil and vindictive the CPS have become...so how do we stop them? I know there are children that need to be taken, and their families educated and helped. NOT THIS WAY ! NOT THIS FAMILY! God protect them all as they suffer through this, and keep them strong in this trial. I wish someone would do a change.org on this. Awful. Vaccines cause failure to thrive.